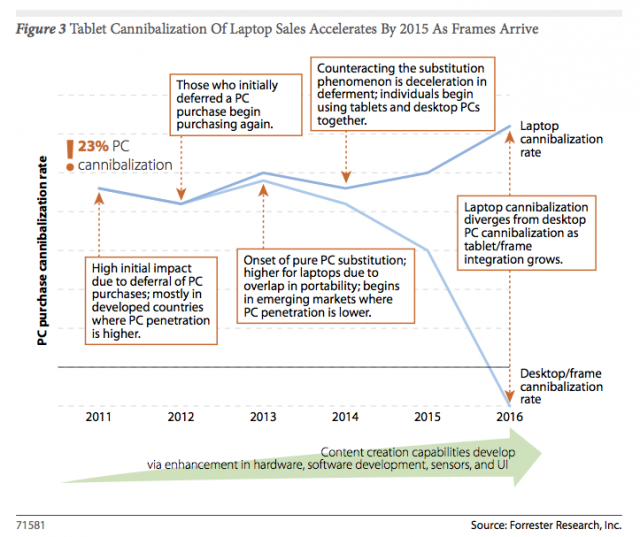 Tags: 2016, Apple, desktop PC, device, Forrester Research, future of tablets, future sales, ipad, laptop PC, Marketing, sales, tablet. As always, Apple is leading the smartphone market not only for the sales but also for the strategy and trend they bring together. Samsung has hit huge number of smartphone sales quite beyond of Apple. The Korean chaebol will be lining up a new 10.1-inch Galaxy Tab to complement the handset launch. According to rumors, the tablet will apparently be running a dual-core processor, and will not be the Galaxy Tab 2 10.1 (that is supposedly getting a quad-core upgrade). It seems strange for Samsung to launch yet another tablet–a focused product lineup may be a better idea for the company instead of making so many slates. A Samsung spokesperson had previously admitted that the company wasn’t “doing very well in the tablet market”. Samsung has confirmed that the new Galaxy S3 will be launched on May 3 at Earls Court, London – will it be your next Galaxy smartphone though. The Galaxy S 3 will be powered by a 1.4GHz quad-core processor, after Samsung confirmed the Exynos 4 Quad chip would be used in its next Galaxy device. Tags: Apple, Galaxy Tab 2 10.1, Marketing, Samsung, smarphone sales, smartphone market, Strategy, The new Galaxy S3. The Verge reports Google is pushing back the tablet’s previously anticipated May release, in an effort to cut prices. Manufacturers are working to bring the $249 price tag down to $199 or less. DigiTimes reports the lower price will help Google compete with Amazon’s Kindle Fire — which is now leading the 7-inch tablet market with its $199 model. It sold over five million units last quarter. The Barnes & Noble Nook Color Tablet — also running the Android operating system — is priced at $169 for the 7-inch touchscreen version. Tags: Amazon, Google Tablet, ipad, July 2012, Kindle. I’m not surprised that Facebook is building its own search engine. Search could be much improved with social signals. And search is one of the places Facebook users spend most of their online time away from FB. Google needs to keep an eye on this! Is Facebook building a Google rival — one that would use your location and your friends’ tastes? A team of more than 20 Facebook engineers — led by a former Google programmer — is at work on a vastly improved search engine within the site, according a Businessweek report. The idea, according to two sources, is to take better advantage of the heaps of content Facebook users create on — and off — the site every day. With people sharing status updates and supporting brand pages on the network, as well as using Facebook’s “Like” button to mark articles and videos from external sites, there is certainly a lot to take advantage of. Google has boosted its presence in the social space recently, opening the Google+ network last fall and a “Search, Plus Your World” feature to tepid response earlier this year. So it’s interesting to see Facebook potentially make a stronger move into the search world. A large-scale shift to a “semantic web,” where online data is is able to be delivered in more nuanced and complex ways, is gaining momentum among tech futurists. Wikipedia recently announced a project called Wikidata that aims to make its content smarter by cross-updating among Wikipedia pages when they are edited. 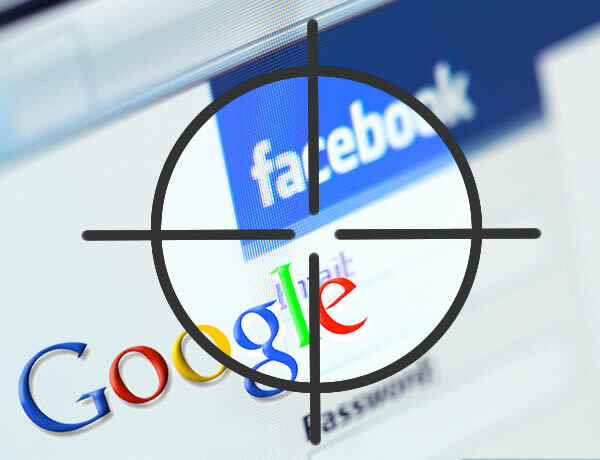 A more robust Facebook search functionality would be another step toward that semantic web. Facebook founder Mark Zuckerberg has consistently downplayed the level of direct competition between Facebook and Google. “I don’t think that this is going to be the type of situation when one company wins all this stuff,” he told Charlie Rose of PBS last fall. If the Businessweek report is true, however, it will add yet another area of heightened competitive overlap between the two Silicon Valley giants. Tags: Battle, Businessweek report, Facebook, Facebook engineer, google, Google programmer, Like button, Mark Zuckerberg, Plus Your World, Search, search engine, social signals. At the beginning of my career, I had the chance working with ‘ strategy consultants ‘. Setting strategies and business goals are one the key compenents of companies. When it comes to telecommunications and mobile , it is also same. No surprise that mobile is one of the top focus areas in 2012 marketing plans. Cannes even announced a new mobile category. The potential of mobile is not only integral to marketing, it is integral to operations, merchandising, and other business functions. That level of integration holds incredible promise, but also incredible complexity. Tags: CRM, Marketing, mobile strategy, promotion, shopper marketing, social media. When Twitter buys a startup, it’s often after the company’s staff, not its product — which makes Twitter’s latest takeover one of its most intriguing. Twitter announced late Monday that it has acquired blogging platform Posterous. Launched in 2008, Posterous — like its archrival Tumblr — pioneered the “microblogging” space. Its specialty is content that’s longer than a tweet but shorter than a traditional blog post. The services are especially good for sharing photos, videos, quotes and other multimedia snippets. Posterous’ staff of 21 previously worked out of a San Francisco headquarters just two miles from Twitter’s home base. They joined Twitter’s staff this week. Is Twitter looking to venture beyond its famous 140-character limit, into the broader microblogging world? Tags: 2012, micro blogging, new stratetgy, Posterous, Tumblr, Why Twitter bought Tumblr's biggest rival. This is a comparison of the travel habits of iPhone, Blackberry and Android users. Who would have thought there would have been a difference? Let’s see what they uncovered. Tags: Android users, Blackberry, dad, date, flights, habits, HTC CEO, iPhone, Love, personality, travel, travel habits. 2011 saw a surge in mobile users, but 2012 is the year when smartphone owners become the majority of users, currently hovering just below 50% of U.S. mobile phone users. 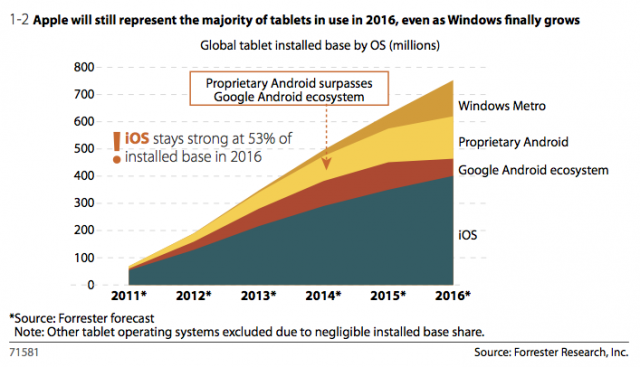 Tablets, too, take center stage with a near 24% CAGR in adoption. One of the biggest areas impacted by this constant change in market dynamics is of course retail. This past holiday season only proved the point. Consumers scanned barcodes or QR codes to check prices nearby and online. And, before they would consider finalizing the purchase, they would ask for a little help from their friends by taking to social networks or review sites to validate decisions. Winning mobile teams are tightly aligned with marketing loyalty programs (if applicable) and e-commerce teams. For example, Starbucks built its wildly successful application not around revenue or loyalty card adhesion, but instead around ease of purchase. 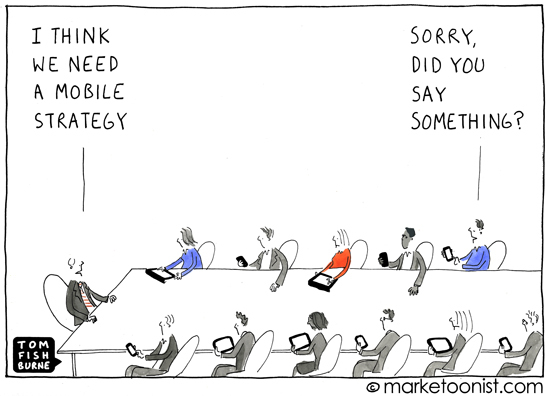 Mobile strategies should be holistic and remain focused on what users are seeking. Informational apps may seem simple in design, but a solid strategy seeks to solve the “information” problem, not just the “mobile” problem. Allocation of the necessary resources at U.S. pharmacy and convenience retailer Walgreens is at the forefront of everything the company does in mobile. The Walgreens app used the mobile device’s camera to scan a prescription barcode to initiate a refill, is an example of “multichannel lite” activity. One of the few retailers profiled that has built a tablet and smartphone version of its app along with a fully featured mobile website, Zappos, worked many processes in parallel to get its application off the ground. Tags: 2011, 2012, connected, Mobile Consumer, Mobile Strategies, report, value. There are methods and techniques used by the highest-paid and most successful people in our society to get paid more money for what they do and get promoted faster to higher levels of authority and responsibility. You can make more progress toward getting paid more and getting promoted faster in a couple of years in a high-growth industry than you might in five or 10 years in a slow-growth industry. Once you have identified a high-growth industry, do your homework. Research and find out what companies in that industry are growing the most rapidly. Remember, 20 percent of the companies in any industry make 80 percent of the profits. They have better leadership, better products and services, better technology, and a better future. These are the companies where you want to work. You should look upon accepting a job as if you were entering into a marriage, with your boss as your spouse. He or she is going to have an enormous impact on how much you get paid, how much you enjoy your work, how rapidly you get promoted, and every other part of your work life. When you are looking for a job, you should interview your potential boss carefully to make sure that he or she is the kind of person you would enjoy working with and for. This should be someone whom you would respect and look up to, someone who is friendly and supportive and on whom you can depend to help you move ahead as rapidly as possible. Whenever possible, you should talk to other people who work for that boss. Fully 85 percent of your success in work, no matter how intelligent or skilled you are, is going to be determined by your attitude and your personality. Your overall success, how much you are paid, and how fast you are promoted will be largely determined by how much people like you and want to help you. Research shows that a positive, cheerful person is more likely to be paid more and promoted faster. This kind of person is more readily noticed by superiors who can accelerate his or her career. In addition, a positive person is supported by his or her coworkers and staff. There seems to be an upward pressure from his or her peers that drives a positive person forward at a faster rate. It is absolutely amazing how many people are held back, year after year, because no one has ever taken them aside and told them how important their external appearance is to getting paid what they are truly worth. The first rule is that you should always dress for success in your job and in your company. Look at the top people in your industry. Look at the top people in your company. Look at the pictures in newspapers and magazines of the men and women who are being promoted to positions of higher responsibility and pay. Pattern yourself after the leaders, not the followers. Develop a workaholic mentality. There is nothing that will bring you to the attention of the important people in your work life faster than for you to get a reputation as a hard, hard worker. Everybody knows who the hard workers are in every business. The hardest workers are always the most respected in any company of value. They are always paid more and promoted faster for a very simple reason: They are more productive. They get more work done in a shorter period of time. They are more valuable to the company. They set a better example, and are the kind of people bosses are proud of and want to keep more than anyone else. The rule is that two extra hours of work each day are all you really need to invest to become one of the most successful people of your generation. You can get these extra two hours by coming in an hour earlier and staying an hour later. In most cases, this will expand your day slightly but it will expand your career tremendously. This must be your goal as well. Work all the time you work. Do not play on the computer all day, make personal phone calls, read the newspaper, or chat about the latest football game or television program. The average person today works at less than 50 percent of capacity. Only about 5 percent of people in the world of work today actually work the whole time. Everyone else is functioning somewhere below their potential, in many cases far, far below. One of the most important ways to come out ahead is for you to continually ask for more responsibility. Volunteer for every assignment. Go to your boss at least once every week and ask him or her for more responsibility. Most people in the world of work do only what is asked of them. But this is not for you. Your job is to keep asking for more, and, whenever you are given a new responsibility, to fulfill it quickly and well. Remember: You want to develop a reputation for being the kind of person who is given the responsibility whenever someone wants to get something done quickly. This is one of the most important success principles you will ever learn to help put your career onto the fast track: The future belongs to the askers. The future does not belong to those people who sit back, wishing and hoping that their lives and their work will become better. The future belongs to those people who step up and ask for what they want. If they don’t get it, they ask again and again until they do. Ask your boss what you have to do to qualify for an increase. There is no point in your working hard if you don’t know exactly what it is that you have to do to get paid more and promoted faster. Clarity is essential. Go to your boss and ask, and ask again if you are still not clear. If you want an increase, you must ask for it. And the way you ask is by building a case, as a lawyer would build a case, for your getting the amount that you want to receive. Instead of saying that you need more money, as most people do, you have a different strategy. You put together a list of the jobs that you are now doing and the additional experience and skills you have developed. Show the financial impact of your work on the overall operations of the company and the contribution that you are making as a top employee. Tags: 7 steps, get promoted, Strategy, tactics, well paid.